Sim Teves’s performance of 'Stay With Me' -The Voice Kids - Balita Boss! Watch video of Sim Teves’s performance in the blind audition of The Voice Kids Philippines Season 2, June 28, 2015 episode. She delivered a rendition of Sam Smith’s "Stay With Me" as three coaches turned their chairs around. Coach Lea, Coach Bamboo and Coach Sarah turned their chairs for Sim. 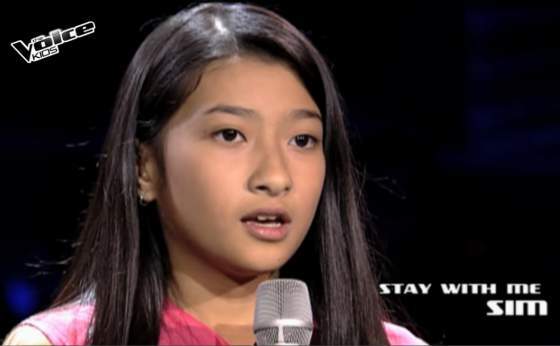 The 12-year-old beautiful singer from Dumaguete City chose Team Bamboo.